Malachite is a green gemstone associated with copper deposits. Crystals are shaped like small, thick needles and can be found in sprays or puffball formations. 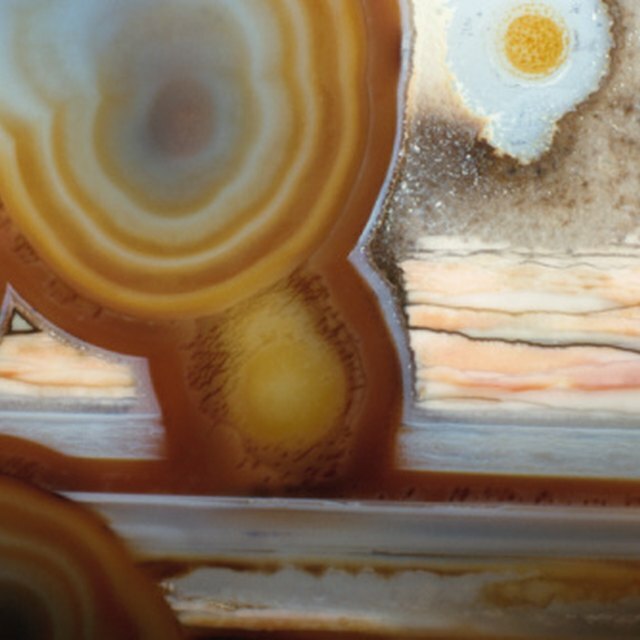 The mineral may also take a mammillary form, resembling bubbles with agate-like banding. Aggregates of this mineral produce beautiful cabachons and beads. Because it is a soft mineral, registering only 3.5 to 4 on Mohs scale, it can be a problematic stone for lapidary artists. The main problem with malachite is that it is a soft stone. Soft stones are inherently more difficult to polish than hard minerals. Even the best of shines can be ruined easily or just fade over time. Overworking the stone in an attempt to make it retain the polish can damage the colorful banding that makes the stone so popular. Another problem with malachite is that it often contains copper. The copper sometimes spreads if the right polishing technique is not used, resulting in unattractive smeary or dull patches that hide the banding and the crisp green color of the mineral. Tumbling is not the best or easiest way to polish malachite. Some people do put this material in tumblers with success, though. Your slab should be thickly cut throughout. You may put malachite in a tumbler with turquoise or jade, but don't add harder gemstone such as agate to the same barrel. Malachite wears down more rapidly than harder minerals, which may also break the softer stone. Oxide polishes may be used, but may also smear the stone if there is a high copper content. Fine diamond grit gives a good shine. 8000 diamond grit can be used sparingly and is fine enough to shine the stones well. Never polish your malachite dry. The dust is toxic and can make you violently ill if you inhale it. While normal lapidary grinders are fine for grinding malachite cabochons, you do not want to use hard disk or belt sanders to polish them. Use a soft belt made of leather, or use cotton or felt bits and a drill or dremmel. Many people do fine with oxides for polish, but you do run a risk with them. If your malachite is high in copper content, however, fine diamond polishing grit is best. Use a fine grade such as an 8000 grit. Make a paste with the grit and oil and apply it to the polishing belt or disk. Be careful not to over polish. The polish on your malachite stone can be easily ruined or become dull over time. Protect your stone from household chemicals which dull the shine. Never use an ultrasonic cleaner to clean your stone. If the shine becomes dull, use a soft polishing cloth to gently buff the stone. 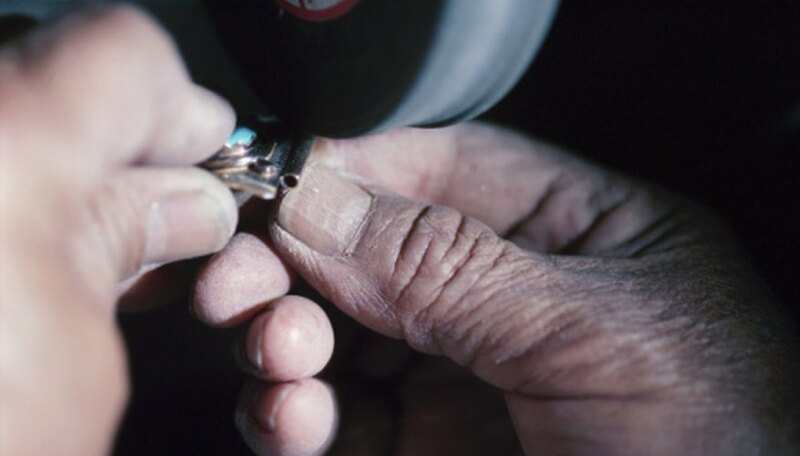 If the stone refuses to buff to a shine, either take it to a jeweler to have it re-polished, or polish it yourself by carefully using a very fine diamond grit and a piece of felt or dremmel with a soft polishing bit. Do not over-buff your stone. Taylor, Sally. "Problems Polishing Malachite." Sciencing, https://sciencing.com/problems-polishing-malachite-8696879.html. 25 April 2017.